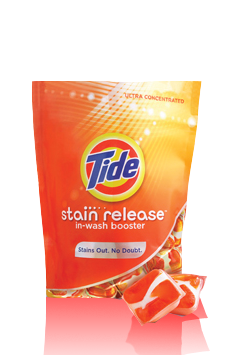 Today is the last day for Tide’s Stain Release Giveaway. Head over, “like” them on Facebook, and get your free sample. I hadn’t received mine, but I’ve heard that some people receive a $2 coupon the week before they receive their sample pack (with additional coupons).